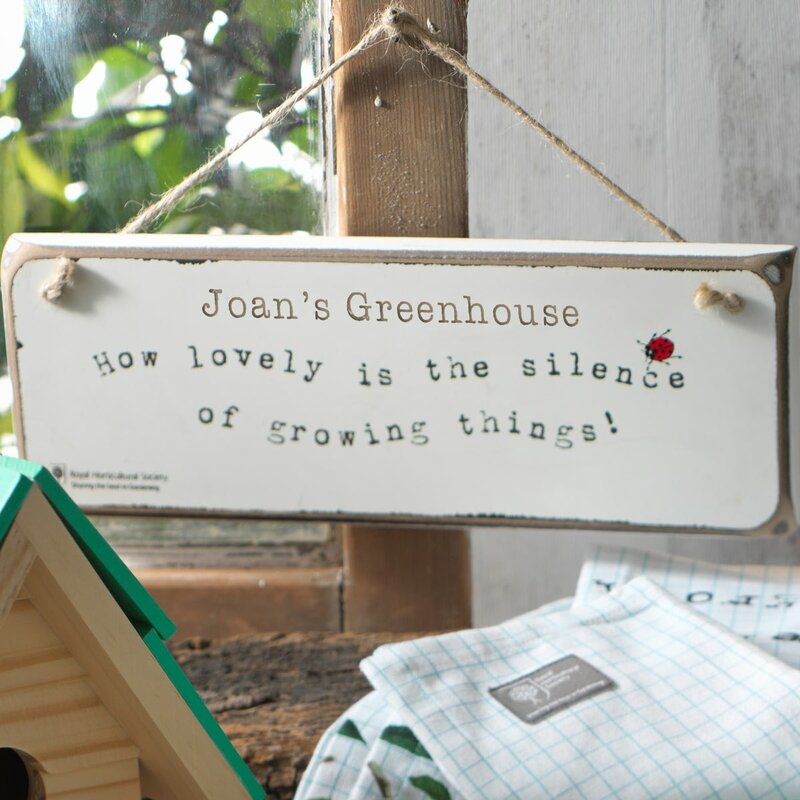 Personalise this wooden RHS hanging sign with any message of up to 20 characters including spaces above the fixed quote ‘How lovely is the silence of growing things’. 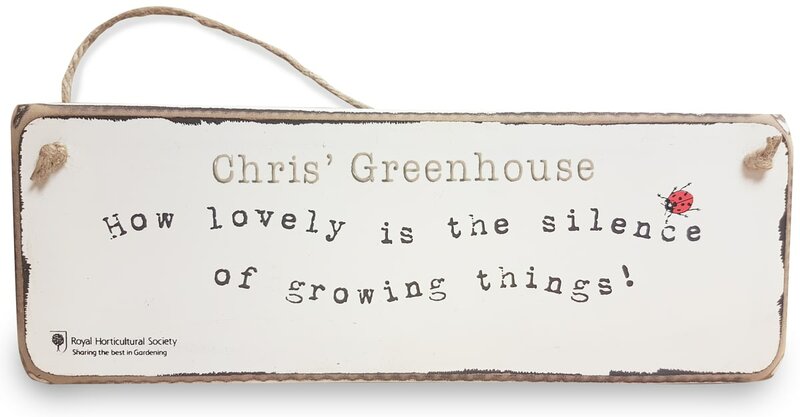 Whether it’s for Rosie’s Greenhouse or Mark’s Allotment any gardener would love this gift. Dimensions H: 9.5cm W: 27.5cm D: 2cm.